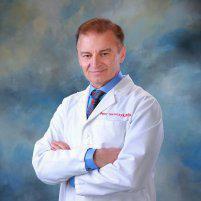 Dr. Peter Niemczyk always appreciates feedback from his valued patients. To date, we’re thrilled to have collected 8 reviews with an average rating of 4.63 out of 5 stars. Please read what others are saying about Dr. Peter Niemczyk below, and as always, we would love to collect your feedback. The doctor was thorough and provided me with good information. I have an upcoming appointment with him to discuss the most recent tests he prescribed. He's one of the best doctors...ever. He listens, actively engages and takes the time necessary. I highly recommend Dr. Niemczyk! Very pleasant and efficient staff. Dr. makes me feel very comfortable. Excellent Doctor. Very thorough and cares about the patient. Britney is always friendly and efficient. Tammy cares about her patients. She is ALWAYS kind, gentle and professional.